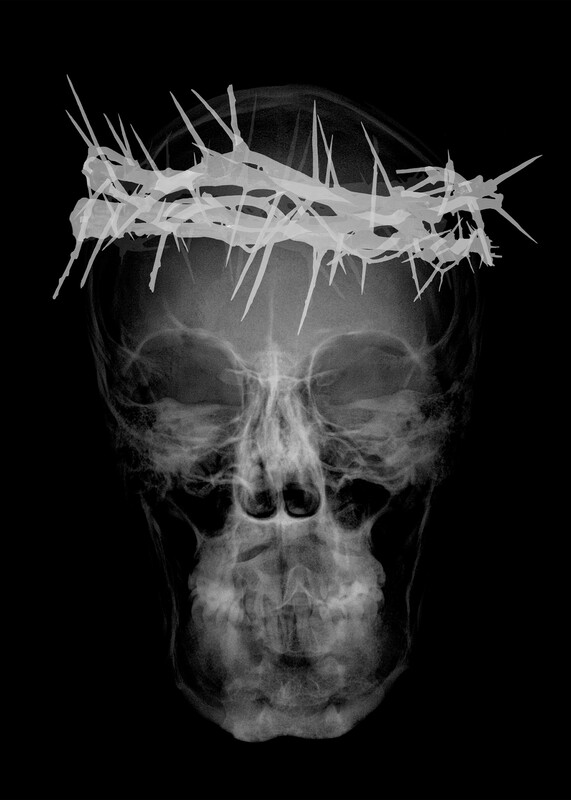 His practice involves the use of medical records like X-rays or MRIs of his body which he uses to make his art. “I am progressively dissecting myself” he says with a smile. 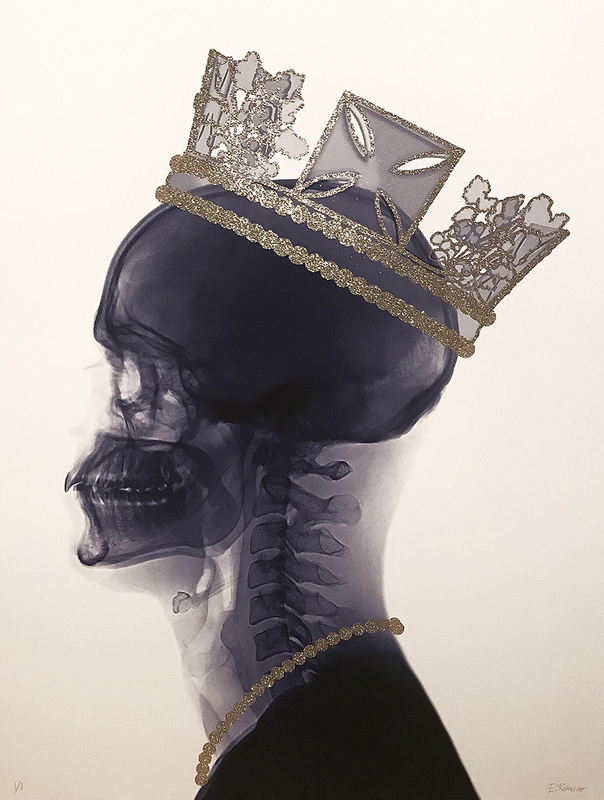 The use of X-rays is a simple way to explore the very essence of being human, deprived of any feature or embellishment that may come with society or status. We are all equal in the end regardless of the jewels we wear. Jewels and embellishments are often present in his work, together with bold colours. He embellishes his works often with glitter, gold leaf or diamond dust. The love for colours is the love for life and for being alive and being human. His work is often bold, ironic, frivolous, but he deeply reflects on bigger questions: where do we come from? Why are we here? Where do we go? He is currently working on his first sculpture: his own brain. This project has been possible through the help of UCL. An MRI of his brain has been converted into a 3D file with the software Freesurfer. This file was then 3D printed and a mould created to replicate his brain. Other work in progress involves the use of Swarovski crystals to embellish his prints.